In the Consolidated Matters of: PARENT ON BEHALF OF STUDENT, v.
SANTA MONICA-MALIBU UNIFIED SCHOOL DISTRICT, v.
Administrative Law Judge Deborah Myers-Cregar, Office of Administrative Hearings(OAH), heard this matter on December 8, 12, 13, 14, 20, 2011, and January 9, 2012 in Santa Monica, California, and on December 15 and 19, 2011 in Van Nuys, California. The parties submitted closing briefs on January 27, 2012, at which time the matter was submitted. Jane DuBovy, Attorney at Law, represented Student. Student’s father (Father) attended each day of hearing. Student’s mother (Mother) attended the hearing on December 19, 2011, and January 9, 2012. Carolina Watts assisted Ms. DuBovy all hearing days except December 15, 2011, when Mandy Favaloro assisted. Sundee Johnson, Attorney at Law, represented District. Dr. Sara Woolverton appeared on behalf of District. On May 25, 2011, District filed a Request for Due Process Hearing (complaint). On September 2, 2011, Student filed a complaint. On September 16, 2011, the parties jointly filed a Stipulation for Consolidation and a joint request for continuance, which was granted on September 20, 2011, for good cause. Psychoeducation 1 so that it may deny Student’s request for Independent Educational Evaluations (IEEs) at public expense? Behavior, entitling Student to an IEE and compensatory education? Failing to include a statement regarding Student’s participation in general education? Predetermining its offer of placement? Failing to provide parents with prior written notice of its refusal to initiate a change of placement to a general education class with a one to one behavioral aide, and to continue providing related services, after parent’s notice of unilateral placement. Failing to offer appropriate related services in the area of speech and language, occupational therapy, behavior and social skills? Failing to offer appropriate related services in the area of speech and language and behavior? Failing to offer appropriate related services in the area of speech and language, occupational therapy and behavior? Failing to implement the related services of speech therapy, occupational therapy and adapted physical education (APE) after parent’s notice of unilateral placement? (13) If District denied Student FAPE during the 2010-2011 school year and extended school year, is Student entitled to tuition and services reimbursement and compensatory education? 1 Student stipulated that the Adaptive Physical Education assessment was appropriate. Therefore, that issue is withdrawn from the respective complaints. 1. Student is a four-year-old boy eligible for special education due to Autism. At all relevant times, he lived within the jurisdictional boundaries of the District. Student was first diagnosed with Autism at 18 months of age by Tri Counties Regional Center (TRC) and received Early Start services. Just before age three, Westside Regional Center (WRC) provided Student with Early Start transition services and Lanterman Act speech, occupational therapy and behavioral services. WRC referred Student to the District for special education eligibility. 2. On September 15, 2010, Student’s parents (Parents) requested a District special education assessment based upon his suspected disability of developmental delays and speech and language delays. Parents identified WRC, TRC, Smart Start, and Pathways Speech and Language as agencies with special knowledge about Student. District then provided a Notice of Parent’s Rights and Procedural Safeguards. 3. On September 20, 2010, Father signed District’s multidisciplinary assessment plan. The evaluation areas included academic achievement, health, intellectual development, language/speech communication development, motor development, processing skills, and social/emotional/adaptive behavior. No other alternative means of assessment were identified on the plan. On September 20, 2010, Father confirmed in writing that he would attend a November 8, 2010 IEP. District identified the anticipated IEP attendees as administrative designee Bekah Donnelly; special education teacher Susan Marshall; psychologist Jady von der Lieth; speech pathologist Jocelyn Langus; Nurse Lora Morn; an occupational therapist; and an adapted physical education therapist. District did not identify a general education teacher to be in attendance. 4. In October 2010, in preparation for Student’s initial IEP, District conducted initial speech, occupational therapy, psycho educational, health and adapted physical therapy assessments, and a teacher observation. 5. On October 15, 2010, speech pathologist Jocelyn Langus conducted an initial speech and language evaluation of Student. Ms. Langus was licensed as a speech and language pathologist in New York in 2005, and in California in 2006. She held a California clinical-rehabilitative services credential and an American speech-language-hearing association (ASHA) certificate of clinical competence. Ms. Langus earned a masters of science degree in communication disorders in 2004. She earned a bachelor of arts degree in English with a minor in linguistics in 2001. Ms. Langus has worked as a speech pathologist for several school districts since December 2004, and for District since April 2007. She later provided Student with direct services between May and June 2011. 6. Ms. Langus reviewed WRC’s September 17, 2010 psychoeducational assessment by Dr. Carol Kelly, which determined Student had Autism, severe and pervasive impairment in verbal and non-verbal communication skills, low average to average intelligence, and borderline daily living, socialization and motor skills. Ms. Langus reviewed TRC’s records, including Student’s initial speech and language evaluation, a summary of speech therapy he received from two speech pathologists, and a progress report from his current speech pathologist Angie Thudium. Ms. Langus spoke with Ms. Thudium about the scope of the therapy, which focused on increasing Student’s language comprehension, pragmatic language skills, play skills and gestural skills. Ms. Langus reviewed Student’s developmental history. She observed Student. Ms. Langus administered two standardized tests, the Goldman-Friscoe Test of Articulation, Second Edition and the Preschool Language Scale, Fourth Edition (PLS4), and she conducted the Language Sample/Observation-informal. Ms. Langus believed the tests, observations, interviews and scales used were selected for Student’s age, were valid for the purpose of assessing preschool children, were validly administered, and were a valid sampling of Student’s function. 7. Ms. Langus observed Student for one hour during her testing. Student’s father was present. Student briefly and intermittently participated in activities Ms. Langus directed. Student preferred to play by himself and engage in repetitive play, repeatedly spinning dials and lining up bingo-chips. 8. The Goldman-Friscoe Test of Articulation, Second Edition, tested Student’s ability to articulate speech sounds in words. This test was conducted late in the day, when Student showed a decreased ability to participate. While he completed items which were typically mastered within his chronological age, he did not complete some items which were sounds typically not mastered by Student’s chronological age. The testing demonstrated that at three years old, Student mastered age appropriate sounds for three and four year olds. Student’s vocal quality, volume and fluency were also age appropriate. 9. The Preschool Language Scale, Fourth Edition (PLS4) contained two subtests: Auditory Comprehension, which measured how much language Student understood, and Expressive Communication, which determined how well Student communicated with others. An average Standard Score fell between 85 and 115. Student obtained an 81 in Auditory Comprehension, and a 74 in Expressive Language, with a Total Language Score of 75. Student’s percentile rank was five. Ms. Langus interpreted Student’s scores, which placed him more than one and a half standard deviations below the mean, and within the significantly delayed range of functioning compared to peers his age. According to the PLS4 Examiner’s Manual, the difference in his two subtests scores were not statistically significant, as there was an overlap in confidence bands. The PLS4 demonstrated that Student’s receptive areas of strength included identifying the use of objects, understanding part/whole relationships, understanding simple descriptive concepts, following two-step related commands, and identifying colors. His receptive areas of weakness included understanding pronouns and understanding negatives in sentences. Student’s expressive areas of strength included naming objects in a photographs and pictures, using plurals, naming a variety of pictured objects, and using quantity concepts. Student’s expressive areas of weakness included using words for a variety of pragmatic functions, combining three to four words in spontaneous speech, answering ‘what’ and ‘where’ questions, using verbs with an ‘ing’ ending, and explaining how objects were used. 10. Ms. Langus collected an informal language sample by documenting Student’s spontaneous speech during her observations of the testing tasks and during play breaks. She observed Student had difficulty responding to ‘what’ and ‘where’ questions, used sentences two-words long, and made imitative or echolalic utterances. She also collected data from Student’s father. Student’s father agreed with her findings, based upon his observations of Student’s language use at home. He reported Student engaged in immediate and delayed echolalia. At home, most of Student’s spontaneous speech consisted of one-word utterances and requests. During the assessment, Student did not make verbal requests. Instead, he used gross motor actions and gestures to get a desired item. Student’s father reported that Student does not direct requests to a communicative partner. During the assessment, Student did not take turns verbally. Rather, he responded to comments and questions by repeating what he heard. Student’s father reported that Student was not yet using words to request help from his parents. During the assessment, Student brought an object to his father to request his help. Ms. Langus concluded that Student’s articulation skills were age appropriate and were not an area of need. 11. Ms. Langus concluded that because Student’s overall receptive and expressive language skills were so delayed, his delay in the area of communication negatively impacted his ability to access his education. She opined Student’s deficits interfered with his ability to communicate effectively within the classroom to make his needs and wants known and interfered with his ability to understand and orally present information. Ms. Langus determined that Student was eligible for special education due to his speech and language impairment and required speech-language therapy as a related service. She supported her conclusion by citing to Student’s score below the seventh percentile on a standardized test of overall language skills, and his display of inadequate use of expressive and receptive language skills during her language sampling. Ms. Langus recommended that his speechlanguage therapy focus on using words for a variety of pragmatic functions, and increasing spontaneous vocabulary and utterance length in response to ‘what’, ‘what doing’ and ‘where’ questions. 12. Ms. Langus prepared a written report, which she presented and discussed at a November 8, 2010 IEP meeting. At hearing, she testified in support of her report and findings. She also opined that the District’s offer of placement and related services was appropriate, based upon what she knew about Student. 13. On October 30, 2010, Erin Harper conducted an initial occupational therapy evaluation. Ms. Harper was licensed in California and was a nationally board certified occupational therapist. She earned a master’s degree in occupational therapy. Since 2009, Ms. Harper worked for the District conducting assessments and providing direct services. Since 2007, she has assessed and worked with children with Autism, developmental delays, and learning disabilities in a school and private clinic setting. She later provided Student with direct services at his SDC, and with clinic based services through June, 2011. 14. Ms. Harper’s occupational therapy evaluation consisted of a review of WRC’s speech and occupational therapy services, a parent interview, the review of the Infant/Toddler Sensory Profile Caregiver Questionnaire, and the Peabody Developmental Motor Scales, Second Edition (PDMS-2). The PDMS-2 had five subtests which examine fine and gross motor development, and Ms. Harper determined she only need to obtain information from two of those subtests to assess Student’s fine and visual motor functions. Ms. Harper used the Grasping and Visual-Motor integration subtests for his Fine Motor Quotient. Each of those scores fell within the average range. However, Ms. Harper noted he had difficulties completing pre-writing and cutting activities, which could adversely affect his ability to successfully participate in the classroom. 15. To assess Student for sensory processing deficits, Ms. Harper analyzed the data provided by parents on the Infant/Toddler Sensory Profile Caregiver Questionnaire. Sensory processing is the brain’s ability to receive sensory information from the environment, then process and organize the information to execute various motor planning tasks. Ms. Harper’s interpreted Student’s scores as a Definite Difference in Auditory Processing, Vestibular Processing, and Oral Sensory Processing, as well as in Low Registration, Sensory Avoiding, and Low Threshold. Student’s score showed a Probable Difference in Sensory Sensitivity. 16. Student displayed a Definite Difference in the way he processed sensory information compared to his peers. In the clinical setting, he required continuous cues to pay attention and complete a task before transitioning to the next task. Student became overly focused on a task, and would not transition to another task without prompting. Ms. Harper provided additional cues and verbal encouragement for him to attempt the numerous sensory motor tasks tested. 17. Student’s Tactile Discrimination demonstrated Typical Performance, based upon his father’s response to the Sensory Profile. However, Ms. Harper observed Student demonstrate distress with wet sticky textures, and asked to wash his hands immediately after contact. 18. Student’s Procioceptive Discrimination skills, one’s sense of body awareness, demonstrated an immature jumping pattern which typically compensated for decreased trunk stability. Student demonstrated a Definite Difference in Vestibular Discrimination, the way his body sensed its relationship to gravity and changes in movement, based on Father’s response. Ms. Harper noted that he resisted using suspended equipment in the clinical setting. Student demonstrated decreased hand and proximal joint strength, requiring physical assistance to maintain a grasp on the trapeze. Ms. Harper observed Student’s Postural and Upper Extremity Functioning to be within functional limits to allow his to access his educational environment and participate in classroom activities. 19. Student’s deficits in Organization of Behavior/Sensory Regulation required Ms. Harper to continually redirect him to attend to adult-led tasks during the evaluation. Student appeared disorganized in the clinic setting, moving continuously from one area and activity to the next one. He required adult prompts to attend to each assessment task until completion. Ms. Harper noted that in preschool, Student would be expected to engage in tabletop activities for seven to 10 minutes, and circle time activities with occasional movement, for 10 to 15 minutes. 20. Ms. Harper concluded that Student’s difficulties with pre-writing and cutting tasks, and his decreased organization of behavior and self regulation could negatively impact his ability to perform within his educational setting. Ms. Harper opined that Student would benefit from receiving occupational therapy as a related service, based on Student’s difficulties and current level of functioning. 21. Ms. Harper prepared a written report, which she presented and discussed at a November 8, 2010 IEP meeting. At hearing, Ms. Harper testified in support of her report and recommendations. She opined the District’s offer placement and related services was appropriate, based upon what she knew about Student. 22. On November 8, 2010, Jady von der Lieth, conducted a Psycho-Educational Evaluation. Ms. von der Lieth conducted assessments for District as a school and preschool psychologist for 17 years. She was also an assessor for WRC. Ms. von der Lieth earned a master’s degree in special education in 1977 and was a nationally certified school psychologist. In California, Ms. von der Lieth held a visually handicapped credential, a standard elementary teaching credential, a life-standard teaching credential, a resource specialist credential, a basic pupil personnel service credential, and an advanced pupil personnel service school psychology credential. Ms. von der Lieth earned a behavior intervention certificate when she was trained as a Behavior Intervention Case Manager (BICM) between 2005 and 2006. She was trained in play-based assessments. Ms. von der Lieth later provided direct services to Student in a social skills program, beginning spring 2011, through June 2011, one time per week for 25 minutes with four other Students. 23. The psychoeducational assessment consisted of a review of documents, parent’s preschool referral packet, observations, parent and teacher interview, and standardized tests. She compiled data from other District assessors. Ms. von der Lieth was assisted by a school psychology intern, Natalia Mondaca. Ms. von der Lieth reviewed assessments conducted by other providers, including the Childhood Autism Rating Scale, Second Edition provided by the speech therapist, a health evaluation, speech and language evaluation, the occupational therapy evaluation, and the adapted physical therapy evaluation. She included their findings in her multidisciplinary report. She also reviewed District’s health and development screening, and District special education teacher Susan Marshall’s observation. Ms. von der Lieth noted that Student was attending Branches Atelier toddler/parent program privately. 24. Ms. von der Lieth’s review of documents included Dr. Carol Kelly’s September 17, 2010 psychoeducational assessment for WRC, which determined Student had Autism, severe and pervasive impairment in verbal and non-verbal communication skills, low average to average intelligence, and borderline daily living, socialization and motor skills. She reviewed Smart Start’s occupational therapy discharge report, which noted Student had difficulty in sensory processing, transitions, fine and gross motor skills, and selfhelp skills. Ms. von der Lieth reviewed Pathways speech and language assessment, which determined he was significantly delayed in pragmatics, gesture, play, language comprehension and expression. She reviewed a physical therapy developmental evaluation of Student when he was 24 months old, which determined that cognitively he had the age equivalent of a 24 month old, and the receptive communication skills of a 17 month old. She also reviewed his speech therapist William Reagan’s records, as well as TRC’s initial speech language/developmental evaluation, which determined that at 18 months, his language and communication skills were in the range of a 12 month old. 25. Ms. von der Lieth observed Student for two hours during the assessment. He was three years old and very energetic. Student seemed unfocused at times during nonpreferred activities. Student required constant re-direction, as his attention span was approximately 10 to15 seconds long. Student was able to name all the numbers and letters on one subtest. Student had minimal eye contact during the assessment, but she believed his overall task performance was satisfactory. He was able to transition to tasks but required prompts. Student did not tantrum during the assessment. She conducted the assessment in English, Student’s native language. Ms. von der Lieth believed that the alternative assessments were appropriate, valid, and reliable for use with Student’s age. She believed the test results were a valid sampling of his abilities. 26. Ms. von der Lieth conducted standardized tests including the Weschler Preschool and Primary Scale of Intelligence-Third Edition (WPPSI-III), the Developmental Profile III (DP-3), the Bracken Basic Concept Scale revised (Bracken or BBCS-R)), and the Behavior Assessment Scale for Children, Second Edition-Parent/Pre-school (BASC-II). 27. Ms. von der Lieth conducted the WPPSI-III, a standardized test normed to assess intellectual function, for children between the ages of two years six months through seven years, three months. Student completed four subtests, but was unable to complete the Receptive Vocabulary subtest due to his lack of focus. When Father commented the test looked familiar, Ms. von der Lieth realized that Dr. Kelley used that assessment within six to eight weeks prior. As a result, Ms. von der Lieth discounted the results of that test but noted the results for ‘diagnostic purposes only.’ Student’s scored in the high average range of intelligence on Object Assembly and Picture Naming, and in the average range of intelligence on Block Design and Information. 28. The Bracken is a standardized test normed to assess a child’s basic concept development, including School Readiness for children two years, six months through seven years, 11 months. Student scored above his age level in three subtests: colors at 100 percent, letters at 100 percent, and shapes at 92 percent. Such mastery placed him above his age level for school readiness. 29. The DP-3 is a standardized rating scale which analyzes the answers to questionnaires provided by both parents to assess five key areas of development. Based upon parent report, Ms. von der Lieth determined Student scored in the average range for Cognitive, and Physical (gross motor), in the below average range for Adaptive Behavior, Communication and General Development; and in the delayed range for Social-Emotional. 30. The BASC-2 is a standardized rating scale which analyzes the answers to questionnaires provided to Father, Student’s private preschool’s assistant director Jane Bridget Kelly, and WRC’s speech therapist Ms. Thudium. Student scored in the ‘At Risk’ range for Hyperactivity, Internalizing Behaviors, Somatization, Behavioral Symptoms, and Attention Problems. He scored in the ‘Clinically Significant’ range for Anxiety, Atypicality and Withdrawal. Ms. von der Lieth determined that Student’s hyperactivity was an area of concern in all settings. He had trouble staying seated, had poor self control, and required a lot of supervision. Student’s anxiety was an area of concern in the preschool and speech therapy setting. Student was easily frustrated in all settings. She interpreted his elevated scores for Atypicality and Withdrawal to be consistent with behaviors associated with Autism spectrum disorders. In the preschool and speech therapy setting, he acted as though other children were not present. Ms. von der Lieth noted the elevated scores from the assistant director of his program, and questioned their internal validity. 31. The Childhood Autism Rating Scale, Second Edition (CARS-2) is a standardized rating scale which analyzes a child’s behavior patterns which are characteristic of Autism and other developmental disorders. Ms. von der Lieth interpreted Ms. Thudium’s responses and determined Student’s total score of 38.5 placed him in the severe symptoms range of Autism. She noted that Ms. Thudium described Student as initiating minimal contact with other children, appearing unaware of other children or adults in the room, moderately abnormal imitation skills, maximum prompting to imitate gross motor movement, a mildly abnormal and inappropriate emotional response, a moderately inappropriate interest in toys, a fixation on small elements of a toy, a mildly abnormal adaptation to change, a mildly abnormal visual response, a moderately abnormal listening response, a mildly abnormal use of and response to taste, touch and smell, a mildly abnormal fear or nervousness, and moderately abnormal verbal communication. 32. Based upon her review of previous and current assessments, Ms. von der Lieth concluded Student met the eligibility requirements for special education under the category of autistic-like behaviors which adversely affected his educational performance. Her assessment results determined he was in the delayed range for social-emotional-behavioral skills. The assessments identified deficits in sensory processing, receptive and expressive speech, adaptive skills, social/peer interaction, attention, pre-academic skills, gross-motor, visual motor, self-regulation, and organization of his behavior. She compared his prior cognitive assessments at two years, four months and two years, ten months, which both assessed him in the low average range. Those assessors cautioned that Student was at an age when IQ was not stable. Ms. von der Lieth’s assessment results determined Student had average to above average cognitive abilities, and above his age level for school readiness. Ms. von der Lieth opined she learned sufficient information on how Student problem solved. 33. Ms. von der Lieth prepared a written report of her findings, which she presented at a November 8, 2010 IEP meeting. At hearing, she testified in support of her assessment and her recommendations. She believed the District’s offer of placement and related services was appropriate. 34. On October 29, 2010, special education teacher Susan Marshall observed Student in his afternoon toddler/parent group at Branches Atelier Preschool. She determined he had areas of need in Daily Living Skills, Social Skills, School Readiness, and Task Attention. Student did not make eye contact with his father. He focused on the water table to the exclusion of other play activities, and did not engage with peers who joined him there. He had a toileting incident, but did not respond to his father when asked about it. Student had a difficult time transitioning to clean up when his dad asked. He refused to leave the water table, and told his father “no,” and dropped his body down to the ground. Student helped his teacher when asked for assistance as she put the cover on the water table. When he was done, he ran back to a playground structure. 35. On November 8, 2010, Student’s initial IEP was held. The IEP team members in attendance included District’s special education coordinator Bekah Dannelley, special education teacher Susan Marshall, speech pathologist Jocelyn Langus, adapted physical education teacher James van Cott, occupational therapist Erin Harper, school psychologist, Jady von der Lieth, school psychologist intern Natalia Mondaca, private agency speech therapist Angie Thudium, Branches Atelier director Patricia Hunter McGrath, Branches Atelier parent educator Karen Palfi, both parents, and WRC’s parent advocate Ron Lopez. There was no District general education teacher present. 36. Parents discussed how Student was enrolled in a private preschool for two weeks and was asked to leave due to his behavioral and attention difficulties. He did not have a one-to-one aide with him. Student was attending the Branches Atelier toddler and parent program several hours each Friday. The Branches director and a staff member attended the IEP to discuss Student’s areas of need, present levels of performance and goals. 37. Ms. von der Lieth discussed her multidisciplinary assessment report. Student had attended 10th Street preschool but was asked to leave after two weeks. Observations noted that Student had an attention span of 10 to 15 seconds. He was unfocused during nonpreferred activities. He had minimal eye-contact but satisfactory task performance overall. Ms. von der Lieth discussed her standardized testing results. Student met six of seven characteristics of autistic-like behavior. Ms. von der Lieth discussed the nurse’s report. Student’s vision and hearing were in the normal range. She reviewed his Autism diagnosis from WRC’s clinical psychologist. 38. Ms. Marshall discussed her observation. Student had little interaction with the other students. He focused on one preferred activity and had difficulty transitioning to another activity and cleaning up. When he was directed to another task, he said “no.” He had a toileting accident. Ms. Palfi from Branches Atelier emphasized Student’s lack of peer interaction, lack of language use, difficulties with transitions, and focus on the same preferred task. 39. Ms. Langus discussed her report. Student had received speech therapy two time per week though WRC. Student’s articulation of sounds was age appropriate. His receptive language skills were significantly delayed. Student had difficulty with spontaneous speech and turn taking. He engaged in immediate and delayed echolalia. 40. Ms. Harper discussed her report. Student had difficulty with pre-writing, cutting, and organizing and self-regulating his behavior, which would negatively impact his ability to perform in an educational setting. Student’s father discussed Student’s distress when eating food with certain textures. 41. Mr. van Cott discussed his report. Balance, stairs, and loco-motor activities were strengths for Student, but his gross motor skills scored thirty percent below his chronological age in the areas of Object Control-Kicking and Throwing. Student’s short attention span would also impact his involvement in the general education curriculum. 42. The IEP team found Student eligible for special education under the category of Autistic-like characteristics. The IEP team also found him eligible for speech therapy, occupational therapy, and adapted physical education. The IEP team identified Student’s areas of need as daily living skills, school readiness, task attention, social skills, fine and visual motor skills, organization of behavior, receptive and expressive language, and kicking and throwing. 43. The team discussed proposed goals for Student. Parents wanted time to review the goals before agreeing to them, and Branches director Ms. McGrath left the meeting. Ms. von der Lieth told Parents the District would make an offer of placement and services, and then the IEP team would discuss it. 44. The District offered Student placement in a small, language-based preschool special day class at Franklin Elementary four hours per day, five days per week, in accordance with the District’s preschool calendar. The District offered Student extended school year services, and transportation. District offered speech therapy three times per week for 25 minutes per session, with two sessions provided in a group and one session individually, for a total of 75 minutes. District offered occupational therapy once per week individually for 25 minutes at school and 50 minutes in a clinic, for a total of 75 minutes. It offered adapted physical education two times per week for 25 minutes in a group setting, for a total of 50 minutes per week. The program provided collaboration between the SDC teacher and the direct service providers. The program offered a home visit by the SDC teacher. During the extended school year, the preschool program would be three hours per day, and the related services would be reduced by 25 percent. At hearing, each of the District’s IEP team members testified that based upon what they understood about Student’s needs and the significant impact of his Autism, they believed this offer was appropriate. The District’s IEP team members opined Student needed a smaller class with structure and a trained special education teacher’s intervention and strategies. At hearing, the Branches director testified she though that placement would be worth a try to see how it worked for Student. At hearing, the Branches director also agreed with the District’s list of Student’s areas of need. 46. Parents presented a meeting agenda. The IEP team discussed Parents’ agenda, answered their questions, and modified and clarified the proposed goals clarified in the areas of Daily Living Skills, School Readiness, Task Attention, Social Skills, Social/Emotional, Receptive and Expressive Language, Expressive Language Use; Requesting Needs and Responding to Others, Kicking, Throwing, Organization of Behavior and Self Regulation, Fine and Visual Motor Skills. The team discussed toileting goals, classroom routines, physical prompts, classroom non-preferred tasks, tactile table top activities with sensory strategies, occupational therapy and classroom goals. Ms. Harper discussed how sensory input strategies would be provided in the classroom. She explained how the clinic-based goals would help him access his education. Parents agreed to the classroom and occupational therapy goals. 47. At Parent’s suggestion, the team discussed parallel play and mimicking play. The Branches teacher reported Student engaged in some parallel play with peers. Student became anxious when another child approached him. Ms. von der Lieth modified the goal to include ‘accepting the interaction of another child’ and engage in parallel play for five minutes with no more than two prompts.’ Parents discussed Student’s echolalia during spontaneous requests, using non-rote phrases and using three words. After some discussion, Parents asked to ‘table’ that goal. 48. Parents discussed the proposed program, which was structured to limit play time on a specific area or toy. The IEP team agreed to the goal regarding two choices of centers in which Student would choose a center and play appropriately with a toy for up to five minutes with 80 percent accuracy. The short term objective would be for two minutes. 49. After discussion, Parents accepted the new speech goal after modification. Student would stay engaged with a peer using spontaneous language for five minutes. The short term objective was modified to two turns. 50. Parents requested an observation of Student in the program. The District members of the IEP team explained the process. The IEP team agreed that the private providers would meet with the District providers within one month of Student starting District’s preschool program. The special day class teacher would visit the home once a month. Parents signed a release for her to discuss strategies with Student’s home behavior interventionist. Parents expressed concerns that few of the students in the proposed classroom were verbal. Ms. von der Lieth explained how Student required adult intervention to initiate his play and speech. The District members of the IEP team believed he still required considerable and constant teacher intervention to help him access his curriculum. Parents wanted to review the completed IEP before signing it. District arranged an observation of the proposed placement. 51. District’s offer of placement and related services remained the same as the November 8, 2010 offer. The final IEP document contained Parents’ concerns. It identified Student’s present levels of academic achievement and functional performance. It identified his areas of need. Goals were written in those areas of need. The goals were based on reports and observations made by Parent and private providers, Branches staff, and District and private assessors over two meetings. It included specialized academic instruction in a special day class with supplementary aids and services. Student would receive accommodations, modifications and supports in the form of visual schedules in the classroom, and pictures for communication in all environments. 52. On December 15, 2010, Father agreed to the IEP, with the exception of placing Student in group speech therapy with more than one other child. He acknowledged that District facilitated his involvement as a means of improving services and results for Student. 53. Parents delayed enrolling Student in District until the second week of January, 2011. After two weeks in the program, Student adjusted to the transition and began making progress in all his short term objectives. 54. District gave notice of the March 16, 2011 IEP meeting. District identified the anticipated IEP attendees as: an administrative designee; a special education teacher; a speech pathologist; and an occupational therapist, and an adapted physical education therapist. District did not identify a general education teacher to be in attendance. 55. On March 15, 2011, Father gave notice to District that he disagreed with all four of District’s assessments. He requested independent evaluations at public expense. Student’s father disagreed with the assessments because they were not comprehensive enough to identify all of Student’s unique educational needs. He did not believe they assessed in all areas of suspected disability, but did not state the additional areas of concern. District later denied that request on March 30, 2011. 56. On March 16, 2011, the IEP team reconvened for an “addendum” IEP meeting to discuss Student’s progress. The IEP team members in attendance included District’s special education coordinator Bekah Dannelley, special education teacher Lisa Berezowsky, occupational therapist Erin Harper, adapted physical education specialist James van Cott, grandmother and both parents. There was no District general education teacher present. 57. Parents wanted Student to be fully included in a typical class. They asked about supports available for his inclusion. Ms. Berezowsky described the District’s preschool collaborative classrooms (PCC) as a mainstream placement option. Parents explained Student’s private preschool had 12 students, and Student required more support. Since the last IEP, Ms. Berezowsky made a home visit with Parents. Ms. Berezowsky discussed Student’s progress. Initially, Student threw temper tantrums and cried in her class, but he adjusted to her class structure after several weeks. District provided him with a facilitated social skills group of five students, for 25 to 30 minutes per week. They worked on sharing and turn taking. Ms. Berezowsky wrote Student’s present level of performance in social skills, a six month bench mark objective, and an annual goal. She proposed adding social skills as a service, once a week for 30 minutes, to his IEP. 58. Ms. Berezowsky reviewed Students goals and progress with Parents. She described his progress as great, and she expected him to meet his annual goals at the sixth month mark. Student continued to require teacher prompting to engage in non-preferred activities. Ms. Harper explained he still required prompting with some of the activities and needed facilitation when playing with other children. Ms. Harper worked on vestibular and procioceptive movement, as well as fine and visual/motor activities. Ms. Langus wrote a report that Student adjusted to his speech therapy environment. He participated in all the speech activities. Student was able to stay seated and follow simple directions. Student made progress in his APE program. 59. Parents requested more time with appropriate peers for Student to model. District advised that Student was exposed to two typical peers for an entire day during reverse mainstreaming, and to typical peers 30 to 90 minutes per day per day during outdoor play, library, circle time and snack. Ms. Berezowsky suggested waiting to move him in May. She believed he would need someone with him all the time to facilitate interactions in a regular preschool. She opined that such constant assistance would create dependence. Harper believed Student was making progress in that direction, but did not think he was ready. She preferred Student to acquire more skills. Ms. Harper opined that he benefitted from the structure, routine, and picture schedule in place. Mr. van Cott discussed Student’s difficulty with turn-taking. 60. The IEP team discussed alternative placements in the District. Ms. Berezowsky and Ms. Donnelly were concerned Student would be overwhelmed and would shut down in a larger preschool collaborative classroom. They discussed how preschool for three year olds was set up around play centers, with play-based direct teaching. Student did not want to participate in the games which required interaction. He was not comfortable pairing up with other children. Father suggested a private preschool. At the end of the meeting, District scheduled a tour of the Pine Street Elementary PCC program for Parents. The District gave Parents notice that the IEP team would reconvene on April 7, 2011. 62. The IEP team discussed placement options. Because Father wanted a typical class, Ms. Dannelly explained that the PCC was a mainstream placement and a lesser restrictive setting. Ms. Dannelley explained how the PCC had all the elements Student required. The PCC had approximately 18 preschoolers, a special education and general education teacher and two adult assistants. Up to half the children had IEPs, and the other half did not. The children were three year olds and ‘young’ four year olds. District offered Pine Street PCC as Student’s educational mainstream placement. 63. Parents were not satisfied with Pine Street PCC. Father discussed his tour of the collaborative preschool program, which lasted 30 minutes. He did not think the program was appropriate. He perceived that the other students did not play at a high level and to him would not serve as good role models. He wanted Student mainstreamed with support. He wanted a peer group that functioned at a higher level than Student did. Father discussed a private preschool program. 64. The IEP team discussed the Pine Street PCC in greater detail. The focus of that program was on play and socialization. Ms. Dannelly then discussed another PCC at Lincoln Child Development Center (LCDC), which was a slightly different program. LCDC had a larger class, up to 20 students, with more adult support, such as a general education teacher, a special education teacher and two adult assistants. The students were between three and five years old, an older age group than Pine Street PCC. At LCDC, there was a greater focus on pre-academics, which Ms. Dannelly thought Student would benefit from. Ms. Berezowsky preferred for Student to stay in her SDC. She and Ms. Dannelly strongly believed student needed a trained special education teacher to instruct him with skills he needed while with typical peers. The IEP team discussed how LCDC would provide Student with a pre-academic education with non-disabled peers, while still receiving the facilitation he needed. Ms. Dannelly also explained District’s State Pre-School program, which had different criteria and focused on child development for ‘at-risk’ children. At hearing, Dr. Woolverton explained that District had several general preschool programs, three PCCs, one Head Start program, and two state preschools. When children had more severe needs, then an SDC might be appropriate, and in more extreme cases, a non-public school (NPS) may be appropriate when a child required even higher structure, such as after a recent discharge from a hospital, or a hearing impairment. 65. At the end of the IEP meeting, District offered LCDC PCC with typical peers, three hours a day, five days a week, with related services and an extended school year. District believed that program would give Student the training, instruction and facilitation he needed, with at least two special education staff members present at all times. The age range of three to five year olds could give Student greater peer role modeling. The LCDC PCC included collaboration between the special education teacher, the general education teacher, the two aides, and the direct service providers on an almost daily basis. The program also offered a home visit by the special education teacher. Parents consented to all parts of the IEP for implementation purposes only. 66. On. April 14, 2011, Parents notified District it hired neuropsychologist Dr. Ann Simun to observe Student in his program and to conduct an independent educational evaluation (IEE). Parents gave District notice it was seeking reimbursement for an IEE, and District denied that request. 67. Student attended LCDC PCC for seven weeks, from May 2, 2011 to June 16, 2011. Ms. Karen Tomita was his special education teacher, and co-taught the language based PCC with a general education teacher and two special education aides. Ms. Tomita earned a master’s degree in special education, severely handicapped. She held a professional clear specialist credential in special education for severely handicapped, and a professional clear multiple subject teaching credential. Ms. Tomita had 27 years experience as a special education teacher. 68. Ms. Tomita explained that when Student began her class, she reviewed his IEP and determined she could work on all the goals in her class. Her PCC is language rich, and the adults work on language and social skills constantly. She consulted with his occupational therapist, speech therapist and school psychologist on an almost daily basis. She, the general education teacher and the two aides took daily data on Student’s progress on his short term objectives. Ms. Tomita constantly worked on his social skills, language, and initiating and sustaining play. She did not think Student required intensive support, and Student made steady progress. He learned their routines and adjusted to their structure after a reasonable time, two to three weeks. Student became “independently successful” in the majority of his six month benchmarks by the final week he attended the program in mid-June. Ms. Tomita made a home visit with Parents. Ms. Tomita did not prepare a written six month progress report on his goals written in November because Student just started her program, and had entered the District in mid-January. She did prepare an annual progress report at his November 8, 2011 IEP, which was not at issue in this hearing. 69. On June 9, 2011, Parent sent District written notice they were withdrawing Student from the District program by June 20, 2011, and would be unilaterally placing Student in Branches Atelier, a private daycare and Reggio preschool, not certified by CDE and not a non-public school. Parents requested that District continue providing DIS services. 70. On June 17, 2011, District gave parents prior written notice that it would not change Student’s placement to a non-public school or private school, and that it would not reimburse parents for private tuition or private services. 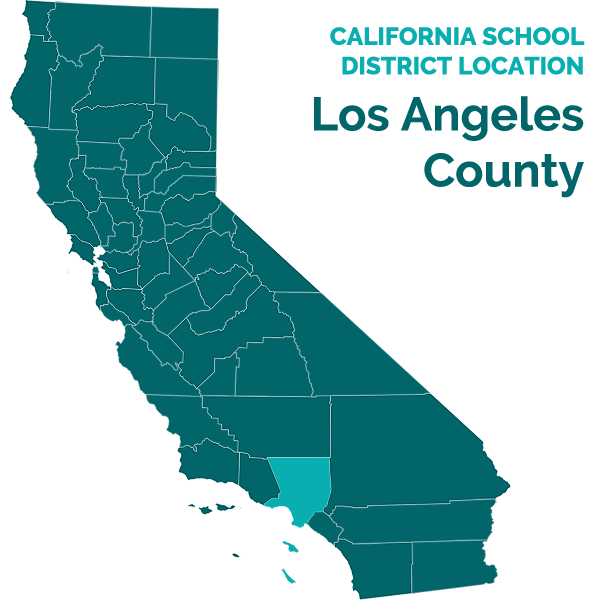 District stated that the appropriate placement in the least restrictive setting was the PCC. District also stated the psycho educational assessment was conducted appropriately, and based the placement decision on the results. District identified that at the November and December 2010 IEP meetings, the IEP team members discussed the assessments, present levels of performance, goals and objectives, and considered the placement options. It identified the March 16 and April 7, 2011 IEP meetings when District discussed and offered placement options. Finally, District identified Parents’ notice of unilateral placement and withdrawal of consent for special education services, as the additional reason for its action. 71. Beginning June 20, 2011, Student attended the Branches Atelier program with a private behavior intervention trained aide. He attended the program for two weeks before it transitioned into a summer camp with less structure. He continued to attend the program throughout the 2011-2012 school year. Parents also hired a private occupational and speech therapist by August because District had stopped providing related services. 72. The Branches Atelier Reggio program offered an emergent curriculum whereby teachers observed what interested the children, and facilitated their learning in a theme-based scaffold. None of the teachers had special education credentials, social skills training, or communication disorders training. According to Parents and his teachers, Student made progress with his aide after several weeks of transitioning. However, he did not meet all of his annual goals by his November 8, 2011 IEP. 73. The IEP team convened again on July 26, 2011 to review the results of Dr. Anne Simun’s assessment dated May 27, 2011. District received the report just prior to the IEP team meeting. The IEP team members in attendance included District’s special education director Dr. Sara Woolverton, special education teacher Karen Tomita, general education teacher Valerie Proctor, school psychologist Jady von der Lieth, private behaviorist Rachel Orlich, private neuropsychological evaluator Dr. Anne Simun, and both parents. The occupational therapist and speech therapist were not available as it was summer break. Prior to the IEP, Parents agreed to waive their presence in order to review Dr. Simun’s assessment more promptly. 74. Dr. Simun, Student’s expert witness, was a licensed educational psychologist with a certificate in clinical neuropsychology. She was a member of the American Psychological Association, Division 40, Neuropsychology. Dr. Simun belonged to the National Academy of Neuropsychology, and the International Society. She earned a doctorate degree in clinical psychology in 1998, a masters degree in school psychology 1989, and a bachelor’s degree in Psychology in 1986. Dr. Simun worked as the chief for a Mental Health Clinic in the Air Force and in a mental health clinic. She was an adjunct university professor and had a private practice. Dr. Simun knew Student’s counsel professionally, had served on training panels together, and had been hired as an IEE evaluator and expert witness many times. 75. Dr. Simun presented her preliminary neuropsychological assessment, which was later revised to correct errors and to include a teacher report. Dr. Simun conducted standardized tests, interviewed parents and his teacher, observed Student alone and with his father for one hour, observed Student in two school settings (his SDC and PCC), and reviewed parent rating scales. Dr. Simun reviewed reports from other assessors, including UCLA’s Pediatric Communication Assessment; Ms. von der Lieth’s psychological assessment, Dr. Carol Kelly’s two psychological assessments from WRC, a physical therapy evaluation from WRC, and Ms. Thudium’s speech and language assessment. 76. On April 8, 2011, Dr. Simun observed Student in the Franklin SDC during outside play and APE. Student followed the verbal directions of the teacher. He followed the rules of a class game, smiled and made eye contact with other children, but required prompting to understand when the game ended. The aide prompted him to play appropriately with several play structures. His teachers prompted him to use complete sentences or make positive statements, but he generally ignored them. He appeared to perform better during the structured environments. Student transitioned well when his APE “coach” arrived. Four adults, the APE instructor, and five students were present during APE. The students ran an obstacle course. Student appropriately waited his turn, followed verbal directions, and performed the sequence of events that his peers modeled before him. Student initiated socially with a peer while he waited. The peer responded and they established joint attention on a toy. Student directed his facial expressions toward the peer and spoke to him. The interaction lasted less than one minute. Dr. Simun interviewed Ms. Berezowsky, who believed Student was fitting in well and adjusting. He learned all the class routines and most of the academic tasks, although he only started in January. She described him as a quick learner. Ms. Berezowsky noted his biggest deficits were in social development, and she had seen improvement over the last two weeks. 77. On May 16, 2011, Dr. Simun observed Student for one hour at the LCDC PCC. Student began that program two weeks earlier. The program had 20 students and three to four adults in the class. Ms. Tomita ran the class with aide support. Student transitioned into the start of class well, tracing his name. He spoke to an adult, who provided him with a tissue. Student sat appropriately in a circle with the class. Student stopped paying attention when Ms. Tomita spoke about the schedule for the day. He transitioned to snack time, but did not respond to several peers who spoke to him. During indoor play, he played repetitively with blocks and ignored the other students who spoke to him. An aide came over to him and verbally prompted him to play with a peer, which he ignored. She sat on the floor with him to play with a symbolic toy, but he ignored her. He also ignored the two peers who joined in with her. Student played alone. He ignored the verbal warnings for clean-up time, even after repeated verbal adult prompts. Student transitioned to circle time, and appeared off task during the large group activity. When Ms. Tomita talked about the letter ‘W’, Student lost interest within 30 seconds. Dr. Simun noted that Student could already identify his letters and sounds. Ms. Tomita asked questions of the students, asked for volunteers, and attempted to coach pragmatic skills when the children were talking to each other. Student was off task after two minutes of discussion. The aides did not try to redirect him. The children were discouraged from socially or verbally interacting during circle time. Ms. Tomita transitioned them to a table top activity to work on the letter ‘W.’ She gave complex instructions, and Student required four verbal prompts. He sat in a group of six children and one aide. Student was attentive with the task but needed help with his motor skills. The children were discouraged from socially or verbally interacting with each other. 78. Between April 21 and 27, 2011, Dr. Simun conducted eight hours of psychological testing. Dr. Simun observed Student in her office for three, two to three hour sessions. Student was compliant with the testing initially, and less compliant and focused when the testing lasted longer. Dr. Simun noted his language skills were impaired. In the area of receptive language, he could follow familiar one and two step directions. He appeared to understand most of what was asked of him. His expressive language appeared to be delayed. Although his articulation was clearly understood, he spoke in short utterances, with repetitive speech, and with immediate and delayed echolalia. Student’s social skills appeared significantly impaired. He preferred to play by himself, and he infrequently tried to engage Dr. Simun with joint attention. His attention span was affected by his interest in a task and the length of the task. His impulsivity affected his test performance. To regulate himself, Student used significant gross and fine motor movements. He exhibited sensory seeking behaviors. Student demonstrated cognitive rigidity and repetitive play. He had clear, restricted interests in numbers and letters. Student worked quickly at the expense of accuracy. 79. Dr. Simun believed Student’s performance on his standardized testing appeared valid, except as she noted. He appeared to give his best effort. Dr. Simun selected the testing instruments based on his demographic and behavioral characteristics. To assess his cognitive development, Dr. Simun administered the WPPSI-III, the Leiter-Revised, and the Southern California Ordinal Scales of Cognition. She opined that for children with Autism, language-based instruments produce artificially low intelligence scores when compared to non-verbal measures like the Leiter-R. Dr. Simun opined Student’s scores on the Leiter-R to be the most valid and stable estimate for his cognitive potential. On the Leiter-R-Student obtained a Full Scale IQ of 136, a score in the very superior range. Specific skills ranged between average to very superior. His superior skills were in visual form completion, visual matching and visual sequential order. His high average skills were in the areas of repeated patterns and classification. Dr. Simun attributed his average skills in representational drawings and visual figure ground, to his cognitive rigidity. She concluded that his cognitive development was greatly above his age level in many areas of reasoning. Dr. Simun concluded his cognition was in the very superior range. 80. Dr. Simun administered the WPPSI, although he had been administered that same test twice earlier in the prior seven months. Student obtained a Full Scale IQ score of 101. Dr. Simun compared his scores on the Leiter-R, opining that his results were highly inconsistent and more than two standard deviations apart. 81. Dr. Simun reviewed Student’s scores on the Southern California Scales of Development of Cognition (SCOS-C). She determined his overall function was at the preconceptual and intuitive level. He displayed a wide range of skills typically achieved by four to seven year olds. He was weak in symbolic play which was typical for children with Autism. Dr. Simun opined that his results were consistent with those on the Leiter-R and the WPPSI to the extent that language-based reasoning tasks appeared to be age appropriate; he showed relative weakness in his verbal reasoning and symbolic representation skills, and he showed nonverbal reasoning and concept formation skills above his age range. 82. Dr. Simun assessed Student’s language skills using formal testing, observation and parent report. Her observation noted his unusual tone and stereotyped speech, and his abnormal pragmatics and nonverbal communication skills. His scores on the WPPSI subtest demonstrated average skills for word definition and receptive vocabulary. His problem solving skills were at the pre-conceptual level, with emerging skills at the intuitive level. Student’s scores on the Comprehensive Assessment of Spoken Language (CASL) demonstrated average skills in core language, with significant areas of weakness on subtests. She opined his scores were consistent with his performance on the WPPSI and the SCOC-C, but that his scores were lower than she expected due to his higher cognitive abilities. His performance on the Developmental Neuropsychological Assessment (NEPSY-II) demonstrated very superior scores on phonological processing; superior scores on speed for rapid naming of shapes and colors; average scores on following complex verbal directions, repeating sentences, receptive skills, and copying short sounds; low average scores for naming words in a category, body parts; and impaired scores for retelling a short story. 83. The Autism Diagnostic Observations Schedule (ADOS) demonstrated significant problems with social language typically associated with Autism, with many of his scores achieving the maximum levels. He demonstrated stereotyped speech, limited skills in reporting events, echolalic speech, difficulty maintaining or initiation conversations, abnormal eye contact, and limited use of descriptive gestures. Most of his oral language was in response to a question or to meet an immediate need. 84. The Gilliam Autism Rating Scaled, Second Edition (GARS-2), which was based on parent responses, showed many elements of Autism in his functional communication skills. Student’s parents noted echolalia, failure to make eye contact, failing to initiate conversation, and difficulty using nonverbal methods to convey meaning, repeated words and phrases, and inappropriately answered questions about a short story read to him. 85. The Adaptive Behavior Scale Ratings, Second Edition (ABAS-2) placed him in the low average range for communication. Student did not have independent skills for eye contact, maintaining attention when others spoke, following verbal commands, using appropriate length of utterances, reporting events, maintaining attention to a topic, and asking questions. 86. Dr. Simun assessed Student’s attention, which demonstrated highly variable attention and impulse control. His parents reported he had trouble sitting still, difficulty waiting, trouble concentrating and staying with a task. Overall, she believed his skills were lower than expected due to his higher cognitive functioning. 87. Dr. Simun assessed Student’s visual motor and fine motor skills with the NEPSY, WPPSI and the Leiter –R. He scored in the above average and superior range for most visual processing skills which did not involve motor skills, and scored much lower in motor or visual motor integration skills. Student’s visual processing scores were in the superior range for visual closure, visual matching, visual patterning, visual construction and puzzle completion He scored in the low average range in visual motor precision, and in the borderline range in his ability to imitate hand positions. 88. Dr. Simun assessed Student’s visual and auditory memory with the NEPSY, WPPSI and the Leiter –R. His motivation was poor. He showed significant perseveration by the middle of the test and during complex instructions. Student’s long term memory was very strong for visual information. His auditory memory showed average skills in his ability to immediately process and repeat sentences. Student’s skills were in the impaired range in contextual verbal memory. His scores were in the borderline range in recognition. Student demonstrated better skills with shorter amounts of information, and the most problem processing paragraphs and longer utterances. 89. Dr. Simun assessed Student’s sensory processing skills using the Sensory Profile and parent interview. He scored in the average range in most areas. He scored in the definite difference range in emotional and social response, behavioral outcomes, and threshold issues. Student’s scores fell in the probable difference range in auditory processing and sensory seeking behaviors. Dr. Simun also observed him seek large motor input by climbing and jumping. Student also sought visual and auditory stimulation. He was uncomfortable wearing shoes and repeatedly removed them. 90. Dr. Simun did not conduct detailed auditory testing due to Student’s age. On the NEPSY, he scored in the very superior range in basic phonological processing. He had better skills with simple sounds and word processing, with more difficulty when processing complex language. 91. Dr. Simun assessed Student’s pre-academic skills with the CASL and the WPPSI-III. Overall, he performed above his age level. However, Parents rated him in the low average range. 92. Dr. Simun assessed Student’s adaptive behavior using the ABAS-2. Parents reported significant delays in the borderline impaired range for overall adaptive behavior and daily living. There was high variability in his scores, from average to mildly impaired, which Dr. Simun noted were severely discrepant due to his high cognition. Student’s parents rated him as average in conceptual skills, and high average in functional pre-academics. Parents rated him as low average in communication, as borderline impaired in his practical skills, and as mildly impaired in social skills. 93. Dr. Simun assessed Student’s social emotional function using the GARS-2, the ABAS-2, the Preschool Child Behavior Checklist (CBCL), and the TRF interviews and checklists. Student demonstrated significantly impaired social functioning, peer skills, symbolic play skills, and cooperative play skills. Student’s mother rated him as clinically significant in the areas of pervasive developmental problems and withdrawal. Dr. Simun opined these scores reflected Student’s challenges with Autism. He was resistant to new things, avoided eye contact, was non-responsive when spoken to, and had problems with speech. He also showed little interest in his peers. 94. Dr. Simun reviewed the Preschool Teacher/Caregiver Report Form (CRF) completed by Ms. Tomita and Student’s private preschool teacher, who saw him once a week. They both rated him as typical in most of the syndrome scales. They rated him average for his age and gender in the areas of emotional reactivity, anxiety/depression, somatic complaints, and aggression. Ms. Tomita believed him to be in the clinically significant range in the area of attention problems, difficulty concentrating, hyperactivity, following directions, short attention span and impulsive behaviors. She rated him in the borderline range for pervasive developmental delay, and rated him with significant ADHD symptoms. Dr. Simun criticized Ms. Tomita’s responses to the rating scale. Dr. Simun commented that Ms. Tomita rated Student typical for socialization yet concerned about his social skills, task attention and following directions. Dr. Simun opined that the overall findings were somewhat consistent with observations and ratings by Parents. Dr. Simun attributed that difference to Ms. Tomita’s exposure to special needs children. Dr. Simun noted that by contrast, Student’s private preschool teacher rated him in the clinically significant range in the area of pervasive developmental delays (consistent with Autism), withdrawn behavior, frequently showing a lack of affection, social withdrawal, poor eye contact, not responding to others, and avoiding participating in games. Dr. Simun opined those findings were consistent with Parents’ ratings. 95. The ADOS demonstrated Student had highly abnormal social skills. He had difficulty with joint attention, turn taking, symbolic play, cooperative play, social reciprocity, initiation and response to interactions. The GARS parent interview and the ABAS-2 demonstrated Student’s social skills at home and in the community were significantly abnormal. On the NEPSY, Student scored in the impaired range for comprehension of emotions, interpreting facial expressions, and understanding the perspective of another person. 96. Dr. Simun assessed Student for Autism, using the GARS-2, the ADOS, the Auchenbach Child Behavior Checklist and Caregiver Report, Preschool (ASEBA). She determined Student demonstrated significant symptoms of Autism, especially in communication and social skills. Student’s parents also rated him in the significant and highly probable range for Autism. 97. Dr. Simun determined he met the criteria for eligibility for autistic-like behavior due to his significantly abnormal scores. She opined his cognition was in the very superior range. Dr. Simun opined that his IQ scores have increased with time, consistent with other children with Autism. The increase was due to issues of flexibility of his response, an ability to follow a standardized instrument, and an improved ability to imitate. She believed the previous lower scores were invalid due to behavioral and imitative limitations which impacted his test results. Dr. Simun believed that IQ scores at age three were not stable. She recommended he be reevaluated using comprehensive, nonverbal assessment methods. Dr. Simun discussed the University of Washington study from 20052008 in which the assessment scores of children with Autism were compared with nonverbal testing. There was no evidence that these cognitive assessments were not normed for a population that included Autism. 98. Dr. Simun highly recommended Student receive a small general education preschool program with less than 15 children. The program should have a small student to teacher ratio of less than 10 students to one teacher. The program should focus on his unique needs and foster consistent interactions with typical peers during the school day. While Student had excellent pre-academic skills, his program should have a non-academic focus. He required a program that promoted his social skills, reciprocal play, oral language development, with students acting as good models for social and linguistic development. She further recommended an adult assistant support him in the classroom. Dr. Simun described the Relationship Development Intervention (RDI) model, which he received at home from WRC. 99. Dr. Simun opined that an SDC placement would not be appropriate for Student as he would not have appropriate peers to model communication and social skills. She did not recommend a program which would focus on the development of academics at the expense of play, pragmatics and social skills. 100. Dr. Simun also opined that the LCDC PCC placement was not appropriate because it had an academic focus, and because some of the students had significant delays in social, linguistic and behavior functions. She believed there were minimal opportunities for collaborative learning and supported social interactions. Dr. Simun believed Student self isolated in the LCDC PCC placement. She opined there was minimal support by adults to increase his social interactions and language skills. 101. Dr. Simun opined that his program was not the least restrictive setting. She recommended he receive a general education setting with an individual aide. Dr. Simun recommended a private, developmental, humanistic, and experiential-based preschool program. No evidence was presented that the Reggio developmental preschool model was a scientifically based methodology for preschoolers with Autism. 102. Dr. Simun recommended Student have IEP goals in the areas of social emotional, peer play skills, behavioral organization, language pragmatics, expressive language, visual motor integration, sensory processing, organization of behavior, compliance, adaptive behavior and prevocational skills such as task completion and attention to task. The goals should be implemented in his various academic settings. His speech goals should include pragmatics, reduce echolalia, respond to questions, and develop complex receptive skills. The teacher and speech pathologist should collaborate to generalize his skills. Dr. Simun also opined Student should receive a social skills training program, appropriate stimulation for his high cognition, behavioral support and consultation, occupational therapy and speech and language services. She recommended a home program including RDI methodology programs for language, play skills and adaptive behavior. 103. Dr. Simun and Parents discussed errors in the report. Ms. Orlich, Student’s behaviorist, discussed Student’s progress after three weeks. Student could not initiate group activity, but could enjoy it. He watched children but did not join them. He was fascinated with spinning objects. Neither Ms. Tomita nor Ms. Proctor saw Student do so during their class, although he enjoyed the screws in the PCC. The IEP team did not have any questions for Dr. Simun. 104. District had received Dr. Simun’s report at the start of the IEP meeting. The IEP team discussed whether to make any changes to Student’s IEP. Ms. Tomita wanted to read the report before making any recommendations. District staff discussed the last offer, a PCC class with typical peers, a typical curriculum, and a high staff to student ratio. District staff discussed that their program which seemed consistent with Dr. Simun’s recommendations. District staff discussed that they thought they could implement Dr. Simun’s recommendations in their PCC program. The IEP team reiterated its offer of placement and services, and did not make any changes to IEP. 105. At hearing, Dr. Simun testified in support of her assessment and recommendations. She agreed Student’s impairment due to Autism was significant. She opined Student’s cognition should be retested within a year, as IQ is not stable at age three. Dr. Simun highly endorsed Student’s Branches program, a private day care with a Reggio developmental model preschool. Student required a one to one aide, which Parents paid for privately. Student was making very good progress in all his goals. 106. Although Dr. Simun had not seen Ms. Berezowsky’s observational report at the time of her assessment, she did not know if it would have changed her conclusions. Dr. Simun opined that the SDC class was not appropriate for Student. Based upon Dr. Simun’s half hour observation of that program, she noted that while he responded beautifully to the structure, there was not a large focus on the adults supporting play and interaction, and there was no opportunity for imaginative or symbolic play. Dr. Simun opined that the LCDC PCC was not appropriate for Student. He isolated himself during playtime. In her half hour observation at LCDC, she was impressed with the skills of his PCC special education teacher, Ms. Tomita. While she did not observe Ms. Tomita working on his receptive and expressive language goal, she did observe her working on other goals. Dr. Simun testified that she believed Student could work on his goals at LCDC PCC, but she thought one of his task attention goals would be hard for him to work on in a large classroom setting. She opined that generally, a large class would be difficult for him without support. Dr. Simun conceded that she did not know very much about the makeup of the other students in the LCDC PCC. 107. Dr. Simun criticized District’s assessment. Dr. Simun opined there was no coordination within the District assessors. She opined that the author of the multidisciplinary report was not clear to her. Dr. Simun criticized Ms. von der Lieth for using the WPPSI to assess Student’s cognition, even though she used it herself. She criticized language based assessment tools for students with Autism who were non-verbal. Student scored significantly higher on the C-TONI. Dr. Simun criticized Ms. von der Lieth for not conducting a classroom placement observation, even though Ms. Berezowsky had. Dr. Simun criticized Ms. Harper’s assessment because she used two out of six subtests on the Peabody. She also criticized Ms. Langus’s assessment because she used the PLS-4 and without specifics, Dr. Simun opined that there were other assessments Ms. Langus could have used. Dr. Simun agreed that District’s assessment generally identified his areas of need for speech and language impairment. Dr. Simun would have recommended speech therapy five times per week. Dr. Simun did not believe the delivery of speech and occupational therapy was clearly written regarding the frequency and location of services. Dr. Simun criticized Student’s teacher’s responses on a checklist, but conceded it was possible the teacher had not seen Student’s behavior. Dr. Simun similarly criticized the social skills assessment using the rating scales as opposed to detailed direct testing. Dr. Simun thought the assessment recommendations did not address placement. She opined that the assessors should make recommendations for the team based upon science. However, Dr. Simun did not testify that this would have resulted in a different recommendation for his present levels of performance, goals, or programming. 108. Dr. Simun did not disagree with the District’s determination of Student’s areas of need, present levels of performance, or his goals, although she would have added a social skills goal. Dr. Simun did not appear to be aware that District began providing social skills to Student beginning spring 2011, but Parents had not agreed to the proposed goal. 109. At hearing, the District’s IEP team members testified in support of their offer of placement and services. Ms. von der Lieth did not believe that Student required a different placement or services as a result of Dr. Simun’s report. She did not agree with Dr. Simun’s programming, as the methodology was less structured, less academic, and less dydadic. She did not believe Student could learn in a general education class with a one to one aide because he needed constant teacher interaction. She opined that the special skills of a special education teacher could help him more than an aide who prompted him. He needed the skills that a special education teacher possessed. Ms. von der Lieth believed that the initial offer of the Franklin SDC was appropriate at the time based upon her understanding of Student. She also believed that the District’s later offer of LCDC PCC was also appropriate, as the District had two such PCCs with a one-to-four ratio. 110. At hearing, Ms. Langus, Ms. Harper and Ms. Berezowsky, testified in support of District’s offer of placement in the least restrictive setting. While all of District’s preschools are language based and collaborative, they believed that Franklin SDC was initially appropriate because he needed more support with a higher teacher to student ratio. In that setting, from mid-January to late-April, 2011, Ms. Berezowsky believed she provided Student with the specially designed instruction he needed. She taught him based upon his goals, and collaborated with his direct providers three to four times a week. Her SDC was appropriate based upon his difficulties, her teacher ratio, her class structure, and the progress he made. In March 2011, all three were reluctant to recommend a change because they believed Student needed more time to develop his emerging skills. By May 2011, when Student was placed in the LCDC PCC, Ms. Harper and Ms. Langus consulted with his special and general education teachers on a daily basis. They did not express any concerns about his placement. Ms. Tomita believed he made very good progress, and believed he fit into her class. He did not require intensive support. By June 16, 2011, when he left her class, she believed he met all his short term objectives. 111. On June 20, 2011, Student enrolled in Branches Atelier and attended the program with his behavioral aide. Parents continued to request District provide related services, and the District refused. While initially Student was solitary, he adjusted after two weeks and began to respond to invitations from other children, just as the summer camp began. By approximately September 2011, the Branches morning preschool teacher, Rebecca Zlotoff, worked as his afternoon aide through a private agency. By August 2011, Parents paid for private speech and occupational therapy services. Student gradually made progress in the program. His class had 12 children, ages two and a half to age four. Ms. Zlotoff believed he needed an aide in their program to access the curriculum. Student had difficulty understanding and implementing verbal and non-verbal cues to transition and interact with other children. Ms. Zlotoff believed he fit in with the other Student’s developmentally, but he was not the most social student and was not the highest academically. By the hearing, Ms. Zlotoff believed he met all his annual goals except for social emotional, receptive expressive language, the more complex expressive language goal, and the organization goal. 112. Rachel Orlick worked for FACT, a behavior program funded by WRC. Ms. Orlich was studying to become a board certified behavior analyst (BCBA). She worked as Student’s private behavioral aide during his summer program at Branches. She never assessed Student, but worked under the supervisor who did. Ms. Orlick opined Student required an aide to support him in his classroom. Ms. Orlick never observed Student in either the SDC or PCC. 113. Ms. Elizabeth Fletcher, his private speech pathologist and a BCBA, believed that his current Branches placement was appropriate because she saw improved social skills within six weeks, and great improvement between September and December 2011. As a basis for her treatment plan, Ms. Fletcher reviewed Ms. Langus’ and UCLA’s assessment, and conducted her own observation. She opined Ms. Langus assessment was not adequate to address Student’s needs because Ms. Langus did not use a language sample test. Ms. Fletcher agreed that the PLS-4 was an appropriate assessment tool to use as a starting point, but she would have wanted to evaluate Student’s communication exchange during his play skills. Ms. Fletcher also would have administered the ADOS autism test to evaluate his sharing, eye contact and organized play, although she conceded she was not authorized to conduct that test. Ms. Fletcher would have also provided Parents with the Preschool Pragmatic Language Questionnaire, which is not a normed test. Finally, she would have observed Student in a series of activities. Ms. Fletcher did not conduct a school based speech assessment. Ms. Fletcher admitted she had not conducted any formal assessments with standardized test for language. Nor did she always conduct a full assessment for treatment purposes. Ms. Fletcher had not consulted with his prior speech pathologist, or spoken to his teachers. She opined she would have had enough information after a series of sessions with Student. 114. In preparation for the hearing, Brianna Harris, Student’s private occupational therapist, reviewed Ms. Harper’s assessment. She believed that Ms. Harper’s assessment delineated a good picture of Student. Ms. Harris was critical that it did not address his performance in multiple settings, such as on the playground, in a clinic, and in the classroom. As a private speech therapist, she would have addressed more goals and recommendations. Contrary to Dr. Simun’s testimony, she agreed that the Peabody subtests were normed to be used as a whole or individually. Ms. Harris would have assessed aspects included in Mr. van Cott’s APE assessment for locomotion and object manipulation. She would have assessed for task attention and sensory integration. Ms. Harris conceded that as a private occupational therapist, she had a different, holistic approach that included home and the community. Ms. Harris conceded that the purpose of a school based assessment was different than her assessment. When Ms. Harris initially assessed Student, she conducted only a brief assessment, observation and parent interview to develop her treatment goals. She did not review Ms. Harpers’ assessment before the hearing. She had never observed Student in a class setting, spoken to his teachers, or visited a District placement. 2 Because Issues 2 (A), (B), (C), and (D) of Student’s case are essentially the same as the issues in District’s case, these issues will be addressed together. Ensure that an IEE is provided at public expense, unless the agency demonstrates in a hearing pursuant to 34 C.F.R. § 300.507 through § 300.5113 that the evaluation obtained by the parent did not meet agency criteria. 3 All citations to the Code of Federal Regulations are to the 2006 edition. 10. Here, District demonstrated by a preponderance of evidence that it properly conducted the speech and language, occupational therapy, psychoeducation and behavior assessments. In contrast, Student did not meet his burden of showing the assessments had not been properly conducted. Parents were provided with an assessment plan in their native language that described the nature of the assessment including the proposed areas. The evaluation areas included: academic achievement, health, intellectual development, language/speech communication development, motor development, processing skills, and social/emotional/adaptive behavior. No other alternative means of assessment were identified or requested on the plan. 11. The occupational therapy assessment was conducted by Ms. Harper, a qualified licensed occupational therapist who was familiar with Autism. Student was assessed using a variety of assessment instruments, ranging from record review, interviews, standardized tests, and clinical observation. The assessment instruments were technically sound for assessing cognitive, behavioral, physical and academic factors as they related to occupational therapy. The assessment instruments were appropriate and valid to determine the level of Student’s need for special education services. The assessment was not racially or culturally biased, because it consisted primarily of interviews and observation, coupled with a review of records. The assessment and testing were based upon information known at the time. Ms. Harper’s assessment resulted in a comprehensive written report that included all observations, assessment results, consideration of Student’s behavioral function at school, and a reasoned recommendation that Student required special education and related occupational services to access his educational curriculum. Ms. Harper discussed her report at the November 8 and December 8, 2010 IEP meetings. 12. The speech and language assessment was conducted by Ms. Langus, a qualified speech pathologist familiar with Autism. She assessed Student using a variety of assessment instruments, ranging from record review, interviews, standardized tests, and clinical observation. The assessment instruments were technically sound for assessing cognitive, behavioral, physical and academic factors relating to speech and language. The assessment instruments were appropriate and valid to determine the level of Student’s need for special education services. The assessment was not racially or culturally biased, because it consisted primarily of interviews and observation, coupled with a review of records. The assessment and testing was based upon information known at the time. Ms. Langus’ assessment resulted in a comprehensive written report that included all observations, assessment results, consideration of Student’s behavioral function at school, and a reasoned recommendation that Student required special education and related speech and language services to access his educational curriculum. Ms. Langus discussed her report at the November 8 and December 8, 2010 IEP meeting. 13. The comprehensive multidisciplinary assessment was conducted and coordinated by Ms. von der Lieth, a qualified licensed psychologist who was familiar with cognition, Autism and behavior. She assessed Student using a variety of assessment instruments, ranging from record review, interviews, standardized tests, and clinical observation. She observed Student, and read the teacher observation report. The assessment instruments were technically sound for assessing cognitive, behavioral, physical and academic factors relating to Student’s cognition, school readiness, basic concept development, social-emotional development, adaptive behavior, communication, and physical development. The assessments included the WPPSI-III, the DP-3, the Bracken, and the BASC-II. She reviewed other assessments, such as the CARS-2. The assessment instruments were appropriate and valid to determine the level of Student’s need for special education services. The assessment was not racially or culturally biased, because it consisted primarily of interviews and observation, coupled with a review of records. The assessment and testing was based upon information known at the time. 14. Ms. von der Lieth’s assessment resulted in a comprehensive written report that included all observations, assessment results, consideration of Student’s academic, social and behavioral function at school, and a reasoned recommendation that Student required special education and related services to access his educational curriculum. Ms. von der Lieth discussed her report at the November 8 and December 8, 2010 IEP meetings. 15. Student did not present any credible evidence that Ms. Harper, Ms. Langus, and Ms. von der Lieth were not qualified to conduct the assessments. Student’s evidence and witness testimony that District’s assessments were improper was not persuasive. As to Ms. Harper’s occupational therapy assessment, while Ms. Harris was critical of the failure to assess in multiple settings such as the playground, clinic, and classroom, she agreed that Ms. Harper’s assessment delineated a good picture of Student. She agreed that Ms. Harper properly used two of six subtests of the Peabody, which was normed for individual subtests. Ms. Harris would have conducted tests which other District assessors performed instead of Ms. Harper. Ms. Harris conceded that as a private occupational therapist, she had a different, holistic approach that included home and the community. Ms. Harris conceded that the purpose of a school based assessment was different than her assessment. She had never observed Student in a class setting, spoken to his teachers, or visited a District placement. Therefore, her opinion was not as persuasive as that of Ms. Harper. As to Ms. Langus speech and language assessment, Ms. Fletcher opined Ms. Langus assessment was not adequate to address Student’s needs because Ms. Langus did not use a language sample test. However, Ms. Fletcher agreed that Ms. Langus used the PLS-4 as an appropriate initial assessment tool. While Ms. Fletcher believed the ADOS Autism test was useful to evaluate Student’s sharing, eye contact and organized play, neither she nor Ms. Langus were authorized to conduct that test. Ms. Fletcher would have also provided Parents with the Preschool Pragmatic Language Questionnaire, and would have observed Student in a series of activities. However, Ms. Fletcher did not conduct a school based speech assessment, and had never conducted any formal assessments with standardized tests for language. Therefore, her testimony was not as persuasive as that of Ms. Langus. Finally, regarding the multidisciplinary psychoeducational assessment, Dr. Simun made a number of generalized statements which were not probative of an invalid assessment. Her criticism that there was no coordination between the District assessors was not persuasive. Dr. Simun’s opinion that Ms. von der Lieth should not have used the WIPPSI was not credible, because Dr. Simun used the same test, even though hers was the third such test in a seven month period, invalidating the results due to the “practice effect.” Dr. Simun criticized Ms. von der Lieths’ use of a cognitive assessment which relied on verbal measures, compared to Dr. Simun’s preference for non-verbal measures for children with Autism. Dr. Simun did not establish those tests were not normed for the general population, or that the tests are invalid for children with Autism. Dr. Simun criticized Ms. Harper for using two of six subtests on the Peabody, even though she is not an occupational therapist, and Ms. Harris credibly testified that the test was normed for individual subtest use. Dr. Simun criticized Ms. Langus for not using ‘other available tests’, even though she was not a speech pathologist, and failed to identify which assessments were not used. Dr. Simun questioned the validity of Student’s teacher’s responses on a behavior checklist, but conceded that the teacher may not have observed that behavior. Dr. Simun criticized the social skills assessment for using a rating scale, but did not establish that it did not provide reliable data. Finally, Dr. Simun’s opinion that District’s assessments were inadequate because the reports should have recommended placement and services, was not convincing, because such recommendations were to be made at an IEP meeting after discussion with the team members. In all, none of Student’s witnesses established that the assessments did not identify Student’s area of unique need. 18. Student further contends that, for the 2010-2011 school year and ESY, District denied Student a FAPE and committed substantive violations in the IEPs by failing to offer an appropriate placement in the least restrictive environment (Issues 8(A), 9(A), 10(A), 11(A),and 12(A)); by failing to offer appropriate related services designed to meet Student’s unique needs in the areas of speech and language, occupational therapy, behavior and social skills (Issues 8(B), 9(B), 10(B), 11(B),and 12(B)), and by failing to provide related services after Parent’s notice of unilateral placement and withdrawal from the District (Issue 12(C)). Student further contends that he properly gave District notice of unilateral placement, and that the Branches Atelier private preschool and daycare was appropriate to meet Student’s unique needs. As such, Student argues he is entitled to tuition reimbursement, related services reimbursement and other compensatory education (Issue 13). District disagrees, contending that at all relevant time it offered Student a FAPE. 5 Student also alleged that District failed to assess Student in all areas of suspected disability and failed to conduct appropriate assessments entitling him to an IEE (Issues 2 (A), (B), (C), and (D)). However, as established above, District assessed Student in all area of disability and conducted appropriate assessments, and, as such, Student was not entitled to an IEE. 24. School districts must have available a continuum of program options to meet the needs of individuals with exceptional needs for special education and related services as required by the IDEA and related federal regulations. (Ed. Code, § 56360.) The continuum of program options includes, but is not limited to regular education programs; resource specialist programs; designated instruction and services, including, speech and language, adapted physical education and occupational therapy; special classes such as special day classes; nonpublic schools; and instruction in the home, hospitals or other institutions. (Ed. Code, § 56361.) There is no requirement that the IEP team discuss all possible choices on the continuum of program options at the IEP team meeting. 28. A procedural violation in the development of the Student’s IEP results in a denial of FAPE only if it impedes the child’s right to a FAPE, significantly impedes the parents’ opportunity to participate in the decision-making process regarding the provision of a FAPE to the parents’ child, or causes a deprivation of educational benefits. (20 U.S.C. § 1415(f)(3)(E)(ii); Ed. Code, § 56505, subd. (f)(2); see, W.G. v. Board of Trustees of Target Range School Dist. No. 23 (9th Cir. 1992) 960 F.2d 1479, 1484 (Target Range).) In J.W. ex rel. J.E.W. v. Fresno Unified School Dist. (E.D. Calif. April 28, 2009 No. CV F 07-1625 LJO DLB.) 611 F.Supp.2d 1097, it was not a procedural error for the district to not include a general education teacher at an IEP. 41. The California State preschool programs are governed by Education Code section 8200, et. seq., and are not part of the IDEA. This ‘child care and development program’ is designed for children whose general safety and welfare is at risk. The child care and development program has components including child care, health services, and social services. The program has some focus on prekindergarten developmental guidelines. A student must be financially eligible. Children ages three and four may be eligible if their family is receiving public assistance, are income eligible, are homeless, or if the children are recipients of child protective services. 63. The appropriateness of the IEP and its offer of placement and services must be evaluated in terms of what was objectively known at the time the IEP was developed. (See Adams, supra, 195 F.3d at p. 1149; Fuhrman, supra, 93 F.2d at p. 1041.) The least restrictive environment means that school districts must educate special needs pupils with non-disabled peers to the maximum extent appropriate. Special classes should occur only when the nature and severity of the pupil’s disabilities cannot be accommodated in the regular education environment with the use of supplementary aides and services. Overall, a determination of whether a district has placed a pupil in the least restrictive setting (general education) involves four factors set forth in Rachel H.: (1) the educational benefits of full inclusion in the regular education environment, (2) the non-academic benefits of full inclusion, (3) the effect the pupil has on the teacher and other pupils in regular education, and the (4) costs of mainstreaming the student. If it is determined that a child cannot be educated in the general education environment, then the LRE analysis requires determination of whether the child has been mainstreamed to the maximum extent that is appropriate in light of the continuum of program options. 64. In analyzing the first factor, the educational benefits of full inclusion, the evidence established that at the time of the November and December, 2011 offer, Student’s needs were severe and significant enough that there would have been little educational benefit to full inclusion. During their observations of Student, Ms. Marshall and Ms. Palfi both emphasized his lack of peer interaction, lack of language use, difficulties with transitions, and focus on the same preferred task. Great weight is given to the testimony of Ms. von der Lieth, Ms. Harper and Ms. Langus, as they had extensive experience conducting evaluations and creating educational programs for students in the District. Each of them persuasively testified that, based upon their understanding of Student’s needs at the time, and the severe impact of his Autism, that Student required the structure of a special day class with a trained special education teacher. Their opinions of Student’s areas of need were persuasive because of their qualifications, training, assessments, and review of records, and were supplemented by detailed discussions with Parents, two staff from Branches, and Student’s WRC advocate. 65. Student contends he would have been able to benefit from the social and communication opportunities in a private preschool general education setting with a trained aide. During November and December, 2010, Student did not pay attention to peers, model or imitate them, or communicate with them. He played by himself with his favorite toy. Student’s lack of interest in his peer interaction demonstrated that developmentally, he required a more specialized placement. His severe symptoms of Autism required a collaborative team of special educational professionals and aides, which outweighed any benefit he might have received from being fully included with support. 66. In analyzing the second factor, the evidence established that at the during November and December 2010, Student’s severe Autism, communication, attention and behavioral needs far outweighed any non-educational benefit in social and communication skills he might have received in a fully included setting, with support. The evidence showed that around this time Student was unable to be included in a general education preschool due to the severe impact of his Autism, his attention issues, his lack of peer interest, his lack of spontaneous play socialization skills, and his receptive and expressive communication and language skills. Student required a special education teacher with behavioral training a collaborative team of direct providers. Student did not notice peers or interact with them in his toddler program, preferring to focus on a favorite toy. Student could not benefit from peer modeling without trained teachers and providers. In his SDC program, Student was exposed to typical peers 30 to 90 minutes per day during outdoor play, library, circle time and snack, and with one typical peer each day for a full day during reverse mainstreaming. 67. In analyzing the third factor, the effect the Student would have on the teacher and other pupils in regular education, his severe symptoms of Autism, communication, attention and behavioral needs would require a great deal of adult prompting, redirection, and facilitation to help him access his curriculum. Parents reported that Student had difficulties in his private preschool program, and had been asked to leave due to his attentional and behavioral challenges, a fact strongly demonstrating that general education was not appropriate at the time. Ms. von der Lieth estimated Student’s attention span to be 10 to 15 seconds, and determined he had difficulty staying on task. In the general education setting, Student would have required a great deal of his teacher’s attention to redirect him to stay on task for lessons and meet his goals. Student’s presence in a fully included program could have resulted in him taking away significant teacher attention from the other students in the class. 68. In analyzing the fourth factor, neither party introduced any evidence establishing the costs of mainstreaming Student in a general education setting compared to a special education setting. While Student provided tuition invoices from Branches, those invoices were indicative of the cost of unilaterally placing Student in a private day care preschool on June 20, 2011. Weighing the above factors, at the time of the IEP team meeting, Student’s only benefit in general education might have been social, and even that was unsure given his deficits. Therefore, at the time of the IEP team meeting, a general education placement would not have been appropriate. 69. If it is determined that a child cannot be educated in the general education environment, then the LRE analysis requires determination of whether the child has been mainstreamed to the maximum extent that is appropriate in light of the continuum of program options. The continuum of special education preschool program settings includes a wide variety of alternative instructional settings: the regular public preschool program, the child development center or family day care home, the child’s home, a special site where preschool programs for both children with disabilities and children who are not disabled are located close to each other and have an opportunity to share resources and programming, a special education preschool program with children who are not disabled attending and participating for part or all of the program, or a public school setting which provides an age appropriate environment, materials and services. 70. Here, the District had several placement options available: SDCs for children with disabilities, three mainstream PCCs with up to 50 percent typical peers, Head Start programs under Title I, and the State Preschool Child Care and Development programs with a large emphasis on child care, nutrition and health care for at risk children with financial eligibility requirements. 80. Although labeled as an “issue,” Issue 13 is really Student’s request for a remedy. Based upon all the Legal Conclusions cited above, Student did not establish that District denied Student a FAPE during the 2010-2011 school year and ESY. Accordingly, Student is not entitled to compensatory education or reimbursement of any kind. 1. District’s assessments were appropriate, such that it need not provide Student with IEEs at public expense. 2. All of Student’s requests for relief are denied. Student was not denied a FAPE, either procedurally, or substantively, in the development of the five IEPs at issue.